We break down the 21-game lineup of the Super NES Classic. 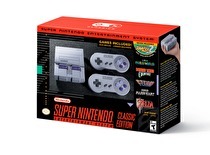 In three months, we’ll all be walking into an open minefield trying to get a Super NES Classic as, even with the foresight of the supply issues of the NES Classic, the stock of this new mini console will likely be challenging to find on its September 29 launch. So, as we await the reckoning of this system’s launch, let’s break down the lineup. How Nintendo has been taking advantage of their brands. Many gaming fans will look at Nintendo and see a major entertainment company that’s known for manufacturing gaming hardware and software. They’re not wrong, as these two areas are what the company considers their core business. However, there is more than the core business when it comes to Nintendo and their synergized strategy.